What a difference a day makes. Just 24 hours after releasing his proposal to keep the Columbus Crew SC from moving to Austin, Texas, the CEO of the Columbus Foundation has issued an apology of sorts. On Monday, Doug Kridler released a detailed plan for a 21,000-seat Spirit of Columbus Park between 5th and 6th streets, just south of Interstate 670, in an area that’s now a privately-owned parking lot. The proposal relied on a complicated mix of private and public financing, including an extension of a temporary Franklin County sales tax. County commissioners immediately said they would not extend the tax, which is now set to expire on January 1, 2019. By Tuesday, Kridler was back-tracking. In an emailed statement, he said, “In the heat of emotion, I conceived of an idea this weekend that doesn’t work for a variety of reasons. However well-intentioned, it was a mistake to approach it in this manner, given that it may have provided some false hope about the practicality of that solution." Speaking on WOSU's All Sides with Ann Fisher on Wednesday, Mayor Andrew Ginther said many of the tenants of Kridler's proposal were similar to those he and Columbus Partnership CEO Alex Fischer presented to Precourt and MLS Commissioner Don Garber in a meeting last week. Ginther says he left the meeting "disappointed and frustrated." Kridler says he’ll continue working with fans, players, sponsors and civic and business leaders to try to find a way to keep the Crew in Columbus. Precourt shocked Crew fans last month when he said he would likely move the team to Austin in 2019 unless a new downtown stadium is built. Despite MAPFRE Stadium being less than 20 years old, Precourt says it’s no longer a suitable home for a MLS team. 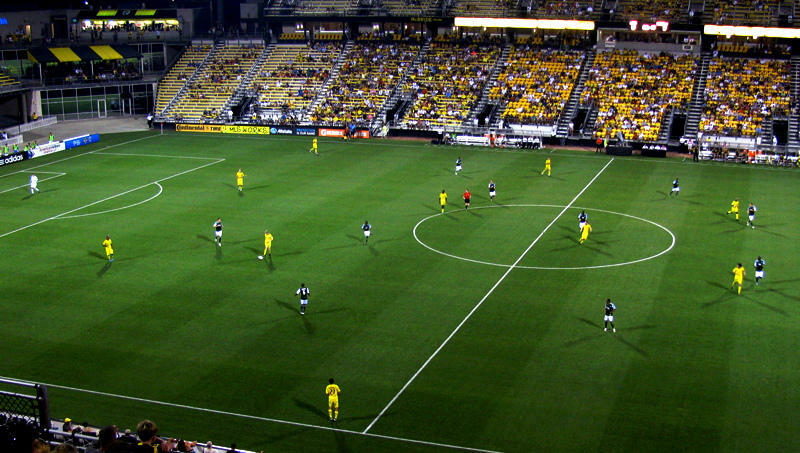 MAPFRE Stadium was the first soccer-specific stadium in MLS when it opened in 1999, but it was built cheaply by modern standards and has a relative lack of club seats and corporate sponsorships. Despite their success this year, the Crew ranked near the bottom of MLS in attendance. 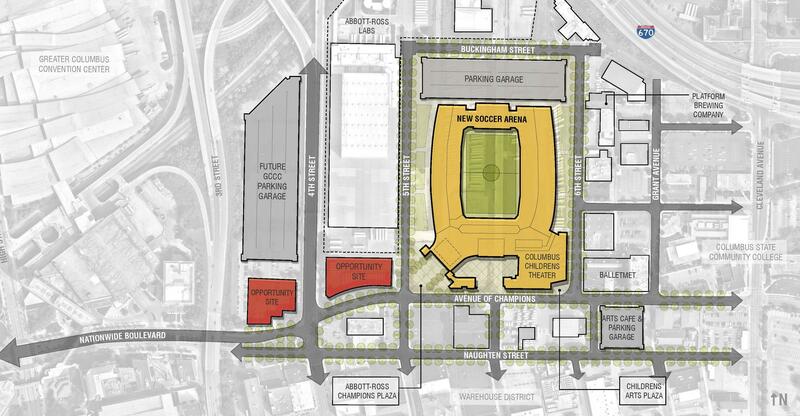 The CEO of the Columbus Foundation has unveiled an ambitious plan for a new downtown stadium to help keep the Crew SC from moving out of Columbus. 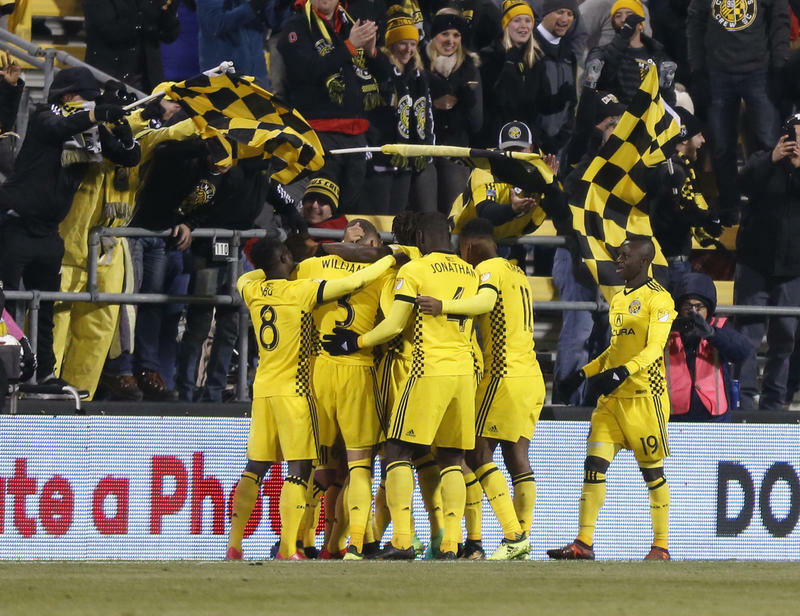 The Columbus Crew return to the pitch inside MAPFRE Stadium on Tuesday evening as they start the Eastern Conference Finals against Toronto FC. 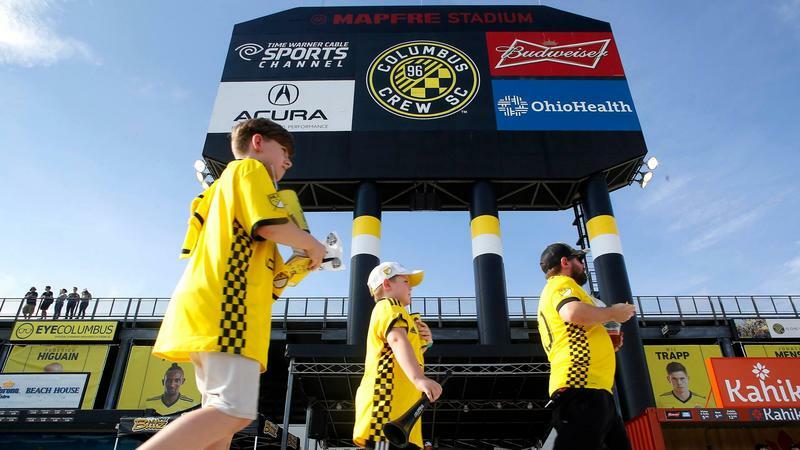 Going into a meeting with Crew SC owner Anthony Precourt and Major League Soccer officials, Columbus Mayor Andrew Ginther said city officials were "resolved to do our part" to keep the soccer club from moving to Austin, Texas. They left that meeting not nearly as optimistic. The owner of Columbus Crew SC, Anthony Precourt, announced Monday night his threat to move the team to Austin, Texas, for the 2019 season if the Columbus taxpayers do not build him a new, downtown stadium. We examine a potential Crew relocation, its economic impact on Columbus, and MAPFRE Stadium's future.